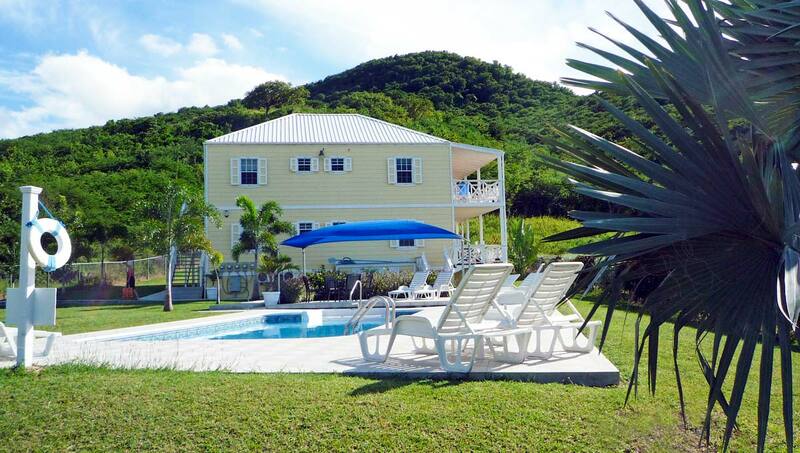 Upper floor apartment with spacious covered veranda offering views towards Jolly Beach and the Caribbean Sea. Access to the apartment is via an external stairway. Large living space with vaulted ceilings. 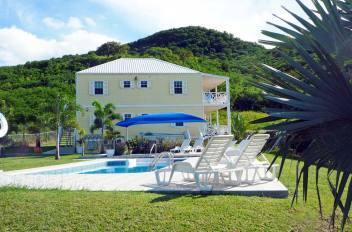 One of four apartments sharing a delightful tropical garden and swimming pool. Living Area – French door opening to the covered veranda, dining area with table seating for six, well-equipped kitchen, sitting area with two sofas. Guest Bathroom – Shower cubicle, vanity unit, WC. Veranda – Two sun loungers, view towards sea, dining area with table seating for four, barbecue.